One way of increasing traffic to your site is to encourage others to share it. This doesn’t happen automatically – you not only need to make them want to do it, you need to make it easy for them to do too. As well as including “share” icons on your site (and we’ll be looking at how to do that soon), there are other things you can do to increase the chances of your visitors sharing your content with others. When you’re creating your content, consider whether the targeted visitors are likely to share it with others. This raises several questions. You can’t target anything unless you know who your visitors are. Your web stats should be able to help you a bit here. If you have a large site, you may be able to get data from Quantcast, Alexa and the like. If you don’t have a big site, then try looking at your competitors. It’s possible that their visitors will fit the same demographic profile as yours. The data isn’t accurate, but it’s better than nothing and may give you some ideas about your demographic. Of course, you can try asking your visitors, perhaps via a survey, but often people don’t want to give out their personal details so I wouldn’t be too hopeful about that as a way of capturing data about your site’s demographic. Which type of visitors are most likely to share and which sharing media do they use? Once you have a better idea of who your visitors are, next think about which of them would be most likely to share. 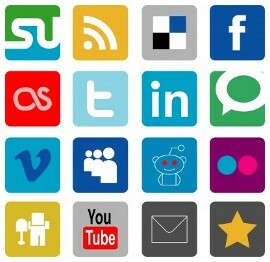 How aware are your visitors likely to be about various ways of sharing? If your audience mainly consists of webmasters then they’ll be more aware of sharing media than, say, a community of knitters. On the other hand, if your visitors are pet lovers or genealogists, they might do a lot of photo and information sharing. How do those people share things? Different groups of people share things in different ways. How do you think the demographic you’ve identified might go about sharing? Might your visitors be aware of sites such as Facebook, but probably have never heard of Technorati? Are they the type to post on forums, make blog comments, or Tweet? What kind of things are mostly shared on each medium? Once you’ve identified your group of users, then try to figure out how they’re likely to share and where they’re likely to share it. Not all social media are alike. For example, StumbleUpon users seem to like sharing useful tools and interesting pages without adverts, so if you think your users are likely to be Stumblers, then create pages specifically for that niche. Facebook users tend to like funny, cute pictures and more personal types of sharing, so if you think your visitors are FB users, then create some funny or cute content for them. Having answered these questions, now target your content towards the right medium for your demographic. The main thing is that when you’re spending time creating content which you hope others might share, thus helping you to build traffic, then don’t do it blindly. Think about what’s most likely to get the best results and target your content accordingly. This is never going to be a precise science, but you can at least make some steps in the right direction if you at least try to answer some of the above questions. Now try to target your content to maximise its shareability.